The San have always lived here. The landscape of southern Africa is marked with their unbroken presence. Their ancestry is traceable all the way back to the 'cradle of the human mind', the birthplace of us all, in South Africa. The emerging sense of identity of many San is, therefore, as a First or Indigenous People. In Africa, it is often argued that all Africans are indigenous. If this is the case, then the San should be entitled to the same basic human rights, welfare, education and other opportunities as other African citizens. However, the San are among the poorest and most marginalised people in southern Africa, struggling to access even clean drinking water, let alone education and work opportunities. !Khwa ttu works to reverse this, fostering dignity and hope. !Khwa ttu is a San culture and education centre based on an 850 hectare farm 70 kilometres north of Cape Town, South Africa. A non-profit company, directed jointly by the San and the Swiss-based Ubuntu Foundation, !Khwa ttu has been providing practical residential training for young San from all over southern Africa since 2006. !Khwa ttu is also a thriving tourism destination, boasting a busy restaurant, stylish guest houses, open air tented camps, thrilling mountain bike trails, and a shop selling hand-crafted gifts found nowhere else. San guides lead unique tours for visitors, fulfilling !Khwa ttu’s mission to enable San to reclaim and share their heritage, in their own way. Situated in the Cape Floral Kingdom, itself a Unesco World Heritage site, !Khwa ttu embraces and champions a range of environmental stewardship programmes. Tourism activities enable !Khwa ttu to generate fifty percent of its operational costs, and to serve as a highly innovative workplace, delivering individually designed, on-the-job training for up to 70 San a year. The !Khwa ttu San Heritage Centre is a great deal more than a collection of artefacts and historical photos. It's a pioneering initiative that embraces the principle of community curation. Our exhibitions, San-led trails and guided experiences are designed to engage the body and senses, as much as the mind. 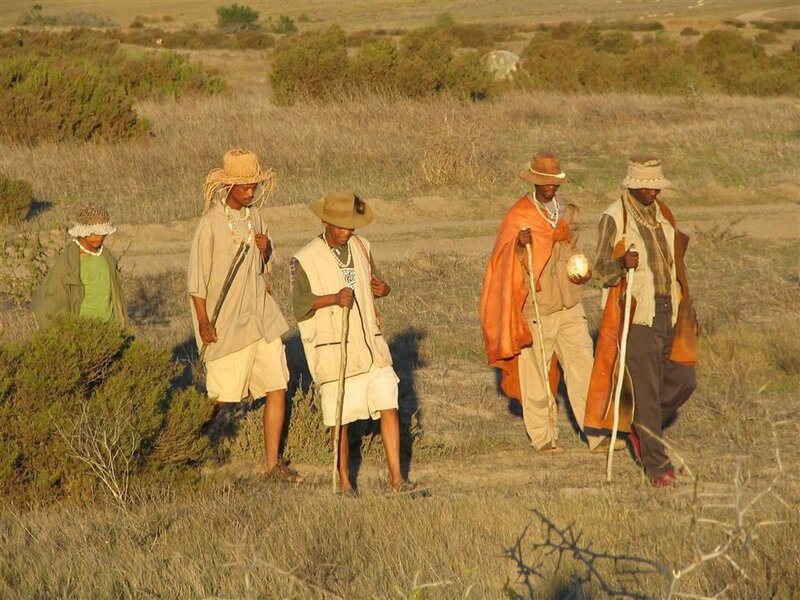 They demonstrate the skills and knowledge of San people from across southern Africa, while also telling the archaeological story of the origins of the modern mind on the southern African coastline. !Khwa ttu is developing community satellites across the Kalahari. Under a strategy of San curatorship, these satellites will employ the latest indigenous archival software to enable communities to curate their own archives and engage globally. Critically, it will be the San themselves, within their communities, who decide what, and how much, of their data they wish to share. As well as enabling San communities to access the digital archive, the satellites provide opportunities for global interaction. San people will be able to see and comment on digital content about them held all over the world. Museums and school groups will be able to connect with San people via video links. The satellite centres will serve as information hubs, for personal, educational, economic, or advocacy purposes. Scholars and members of the general public will be able to seek out and explore San life, authentically and legitimately. By bringing together this wealth of knowledge under one digital roof, we allow for new engagements with the San, with human origins, with indigenous rights and with history. Cultural restitution is at the core of !Khwa ttu's purpose. The San are one of the most documented people in the world. Libraries, archives, museums, and private collections across the globe hold literally thousands of books and papers written about the San, alongside San artefacts and photographs, film and music. However only a handful of San people know of the existence of these materials. !Khwa ttu's digital archive seeks to rectify this. By bringing together the vast number of digital files about the San that already exist, and making them accessible via a single internet portal, this tremendous resource can be available to everyone.